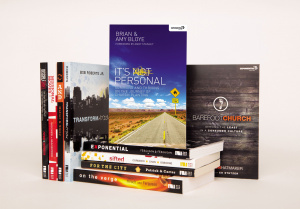 Exponential Series Complete Set by Alan Hirsch; Bobby William Harrington; Brandon Hatmaker; Darrin Patrick; Dave Ferguson; Hugh Halter; Jim Putman; Jon Ferguson; Matt Smay; Robert Coleman was published by Zondervan in August 2015 and is our 66153rd best seller. The ISBN for Exponential Series Complete Set is 9780310526704. Be the first to review Exponential Series Complete Set! Got a question? No problem! Just click here to ask us about Exponential Series Complete Set.